You’re beating your head against a wall. Staring at a blank screen. 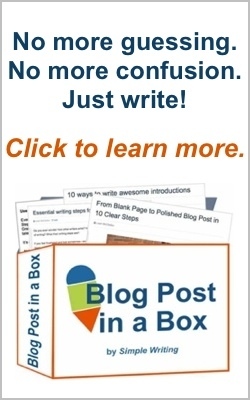 You need to write a blog post fast, and it’s got to be good. You google “writers block” and hope to find a solution. If you had all day or all weekend to write, you know you’d come up with something. You always do. But this time, you only have a few hours, and you can’t think of anything. Maybe you’ll just skip it. Who’s going to notice? Stop. Right. There. If you’ve been posting regularly, your readers are going to notice. Even if they don’t, you will. And one of the most critical keys to a writer’s success is following good writing habits—and sticking with them. Plus, the problem isn’t the vague, catch-all excuse called writer’s block. The problem is that you don’t have a system in place you can rely on. Using a standard outline based on a 5-part essay can be a life saver. With an outline, you can go from blank screen to polished post in a few hours or less, depending on the length and complexity. No matter what kind of blog post you’re writing, though, or how much time you take, using an outline can reduce time, stress, and worry. Plus it keeps you organized and on track, especially if you’re writing something long and involved. This might be the hardest part if you don’t use an editorial calendar or already know what your topic is. To keep ideas handy, create a list for every possibility that pops into your head at random moments. Keep it on your desktop, laptop, smart phone, or notepad. Jot ideas on a paper plate or napkin if you have to. Then transfer regularly to your master list. Try browsing through blog comments, emails, or previous posts if you’re drawing a blank. 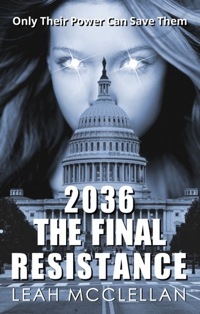 What do your readers need to know about? Call a friend, post in a forum or on Facebook, or even tweet the question What do you need to know about [your blog’s focus]? Crafting a headline keeps you focused on your topic and your purpose. Even if you end up rewording, a headline makes a promise you have to keep. Having trouble? Write one sentence that describes the topic and the value you’ll provide. Now try variations in rapid succession for 5 or 10 minutes. Just let go and write freely. Sooner or later you’ll get a few good ones. 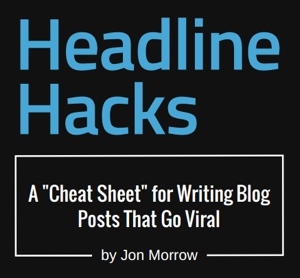 Here’s a great headline cheat sheet you can download for free. Generate a list of every step, idea, concept, or element that comes to mind. What’s important? What’s not? Even if you’re not using a numbered list, you still need to make some key points. If you can only think of one or two, your topic might be too narrow. What’s the big picture? Can one of those points be developed into two? If you need to list 25 steps to be thorough, narrow it down or combine them. What part of the topic is complex enough for an entire post? I could easily write 1000 words on blog post introductions, for example, if I go deep and get into details. Do some quick research, if needed, and use your headline as search terms. Then sketch out a rough draft that gives your readers the information they need to know. Leaving the introduction for next-to-last or last is great because you’ve warmed up to your topic—how many times have you wrestled with beginnings? By now you’ve caught a rhythm and have your readers in mind. You’re talking to them, thinking of them, imagining what it’s like to be in their shoes. Your introduction should create a scenario that invites readers in. Show you care and understand the reader’s problem with lively, empathetic writing. It doesn’t have to be long or elaborate. 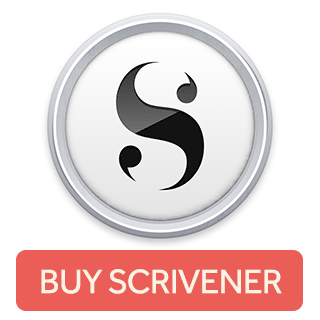 Just tell your readers what’s ahead and how you’ll solve the problem or provide some answers. Sum up your main idea, and tell your readers what to do next. Offer encouragement or tips on how to reach the goal. If the post is more about personal experience, sum up what you’ve learned and how readers benefit. You can even tell them to buy your product or download your free solution to the problem. This is the most important part of your post. Check that you’ve given about equal attention to all your key points. Read out loud: Is it smooth? Lively? Be sure you’ve included all necessary steps or points and developed them sufficiently. Don’t forget to check grammar and punctuation, and use these 25 tips. When you’re done writing, proofread carefully for spelling, capitalization, list numbers, extra spaces, and missing or doubled-up words. Nobody’s perfect, but many bloggers would have 100% better posts if they’d take time to edit and proofread. That wasn’t so hard, was it? If you write your posts in a separate app like I do (I use Pages or Word), proofread again in your blog’s preview mode. In a different format, you’re likely to spot something you didn’t notice before. Be sure to double-check your formatting, text wrap for graphics, photo credits (if any), and your meta data. And proofread that meta description before search engines or Facebook snag it! This isn’t the only way to write a blog post, and it’s not the only kind of outline. It’s basic, but it works even for long, epic posts. It saves time and almost guarantees a solid post. It might seem too basic or boring—even elementary—but all writers use tricks from their toolboxes, especially when writing under pressure. Try it. Mull over a few ideas, pick one, and get to work. Do you love outlines? Hate them? Have some tips of your own? Share in the comments! And please share this post with your friends. Very good points, and taught in Universities for general writing, but many times folks need to be reminded. I appreciate this post for being concise and on topic. It’s fairly basic stuff, but it works. And sometimes I have to remind myself! Thanks for your kind words and for stopping by. Thanks for the great tips. I recently started timing myself when I write. It has definitely made the process quicker. Jim M recently posted…What Kind Of RAM Does My Computer Need? That’s a great trick. I like to use http://e.ggtimer.com. When I use that and set a specific time, it gets me on a roll and I’ll be writing for as long as it takes. Thanks for stopping by and sharing your tip, and I’m sorry my reply took so long! I seem to find myself jotting down ideas all the time, and half-finished blog posts… but not finishing them off nearly as quickly as I want to. It’s clearly useful to use an outline – to get an awesome post written and published quickly and easily. I like the idea of timing it too – thanks Jim! Wow Leah, I must admit that are these are lovely post ideas and I so resonate with them, maybe because it’s the exact same thing I practice on a daily basis. Hi Sam! Glad it works for you, and thanks for stopping by and sharing! I struggle with starting a post off and getting it into a readable/flowing format. Your post here has helped me with overcoming this… and reading your other posts on the blog really has helped with my overall writing style and technique. I was never that good at English at school – never really got it, to be honest. It’s only now that I’m looking at hopefully writing meaningful and engaging posts that all of the techniques and methods you explain are becoming useful to me. I wish now I’d have paid more attention in the class and practiced a lot more. Anyways, what I’m trying to fumble my way to saying is… thanks for taking the time and effort of writing these helpful posts. I do this, I have a big list of ideas, broken up into different categories. And then I have a notebook filled with main ideas, and such, and it’s so helpful to have places to look when I’m stuck. I also really like saving my draft, and then coming back to it a few minutes later. Sometimes that makes a big difference! I am new to blogging stuff and the biggest problem for me is getting a topic to write. Can you help me how I can get good topics to write?? I prefer to blog on tech. Your story is a great inspiration for personal or professional. I think writing about oneself helps create that self-myth….. I really love it! Nice post Leah. This post is clear and easy to understand. I loved the point “call to action”. I too follow the same strategy while writing a blog post. Very inspiring for personal or professional. 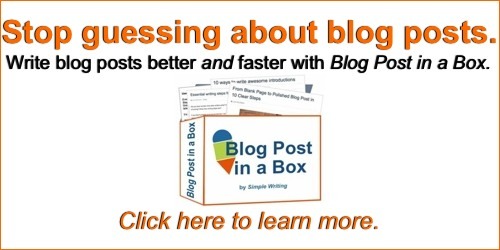 Your list are proven and effective to write a blog post faster. Thanks for sharing! I’m a bit late to the party on this post but I wanted to say thank you. I have just started blogging and I was struggling with how to create content, this gives me a place to start my posts. You’re welcome! I’m so glad it helped you. And good luck with your own site! Next Post: Plagiarism, paraphrasing, spinning, and original writing: what’s the difference?